Omega’s ceramic story has a relatively modest beginning. It starts with a small triangle on a piece of jewellery in the Seamaster Planet Ocean collection. 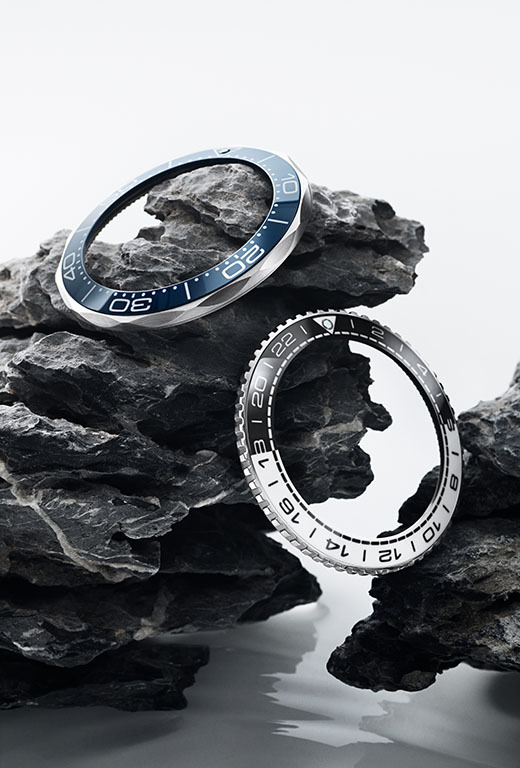 This was the Swiss brand’s first use of advanced ceramics on an Omega product. Needless to say, Omega’s ceramic expertise has come a long way since its humble three-sided beginnings. Today, the brand makes extensive use of this exciting and versatile material, in all shapes, sizes and colours. Anyone who has ever found the ideal shade of blue on a paint chart, only to discover that it’s less than perfect on the wall, knows that getting colour right can be a tricky business. For Omega, these challenges are multiplied, because there’s only one way to arrive at a result – and that’s by undertaking the whole processing journey, from start to finish. Omega has developed many colours for ceramic, but they’re not easily achieved. It’s a long process, as the colouring begins with the adding of metal oxides to Zirconium dioxide [ZrO2] and this can only take place at the earliest stage of the operation. To fully appreciate the patience required to add a bold new hue to this material, it pays to understand just how difficult it is to make something as seemingly simple as a ceramic bezel. It all starts with tiny granules, known in the business as feedstock. This fragile mix is pressed or injection-moulded into a rudimentary bezel shape and fired (sintered) at 1,400C/2,550F to shrink the blend’s volume, fuse the particles and create a ‘ring’ six times harder than steel that won’t scratch, discolour or fade. A step closer to an Omega bezel, but still a little rough around the edges, this ring then undergoes a long process of refinement, which includes shaping and polishing with a diamond millstone, and laser engraving to create the indentations for a tachymeter or diving scale. It’s a huge understatement to say that developing and producing coloured technical ceramics for the watchmaking industry is extremely challenging, especially for vivid colours. The key issue is to find the right feedstock composition, which can resist the sintered temperature and match the mechanical properties of ceramic, such as hardness and tenacity. Obtaining the desired colour requires a great deal of trial and effort. A watchmaker needs a good grasp of chemistry (and no doubt a philosophical approach to failure). 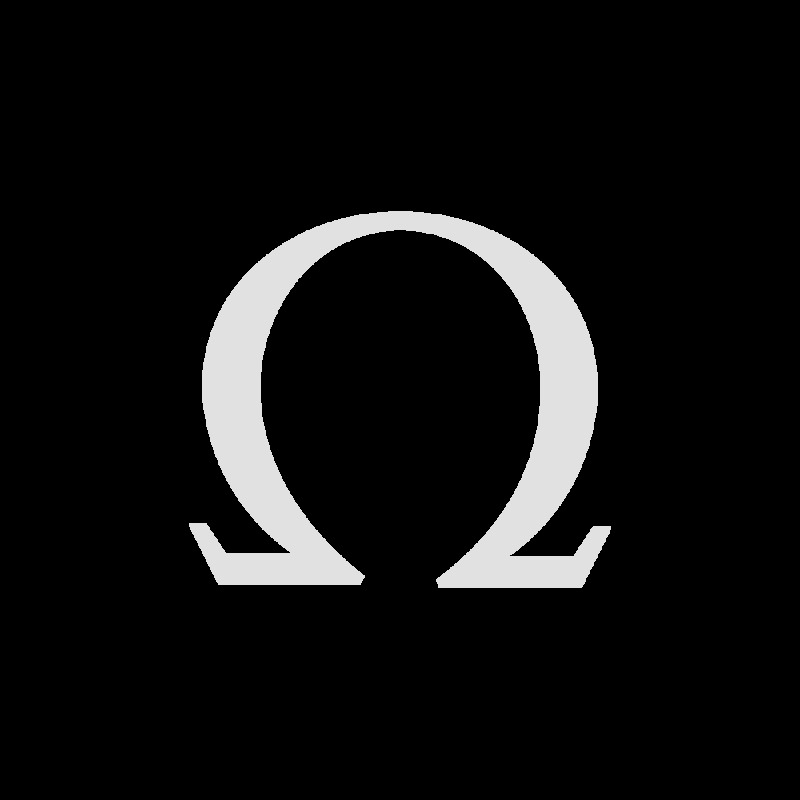 Omega has found many ingenious solutions. To find the right red, for example, Omega used aluminium oxide [Al2O3] instead of zirconium oxide [ZrO2]. 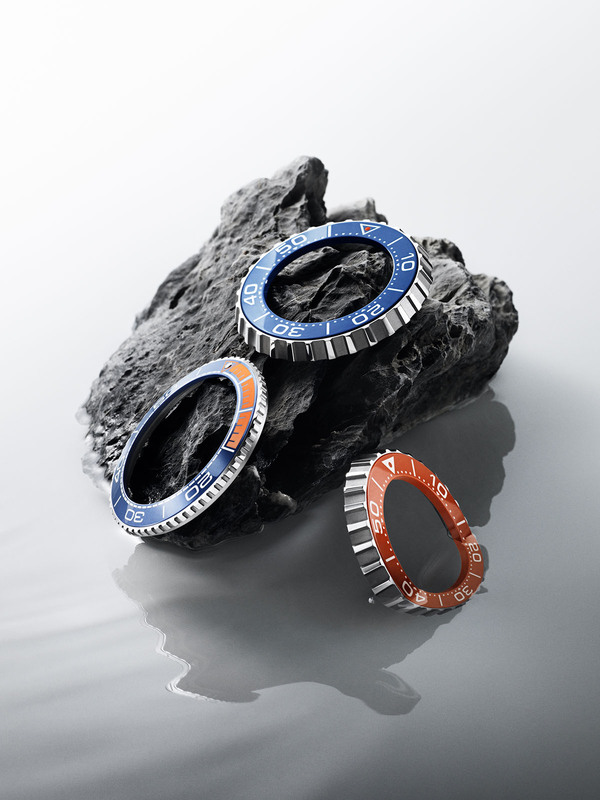 For the deep blue colour, Omega developed an additional heating treatment in order to obtain the right intensity. Such developments have enabled Omega to secure several patents; and the brand’s commitment to adding original shades and colours to bezels and dials has also led to innovative materials, such as Liquidmetal™, introduced into the Seamaster Planet Ocean line in 2009. Liquidmetal™ can make a tachymeter or diving scale truly stand out. However, it does require off-the-scale tonnage to produce. A plate of Liquidmetal™, aligned with a ceramic disc, is heated and then pressed so firmly that the metal fills the holes in the laser engraved indentations. The excess metal is then removed, the surface of the bezel polished and the Liquidmetal™ scale brushed to perfection. This final sweep with a brushing tool affects only the numbers and scales, as the Liquidmetal™ is so much softer than the scratch-proof ceramic. For adding colour and sparkle, there’s also Omega Ceragold™, a process which took years to master. Ceragold™ is a watch designer’s dream, as it allows for the bonding of 18K gold and ceramic. Again, there’s no racing to the finish. Achieving perfect results takes time and careful handling. 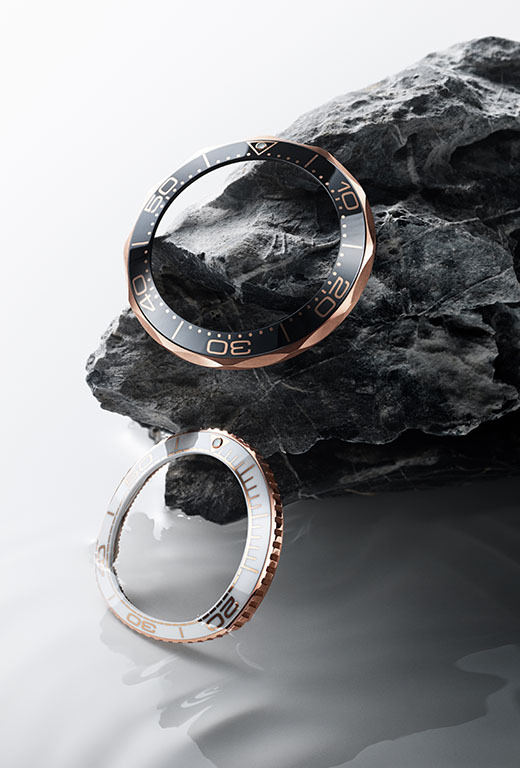 In hospital-clean conditions, the laser engraved bezels undergo an electroforming process, which involves creating a conductive layer and then submerging them in a gold electrolytic bath for 48 hours, which leaves a thick coating of 18K gold. The excess gold is then removed to reveal the original ceramic surface, leaving a solid gold layer in the scale which is not only smooth to touch, but offers a dramatic and luxurious contrast between the case material and the scale. When it comes to creating bold intervals of colour, such as the striking slice of orange highlighting the first 15 minutes on Omega’s Seamaster Planet Ocean, the brand’s go-to hardware is rubber. Rubber could hardly be described as cutting-edge but when this humble material is (literally) pressed into service using a rubber injecting or vulcanising process, it nonetheless produces striking results. 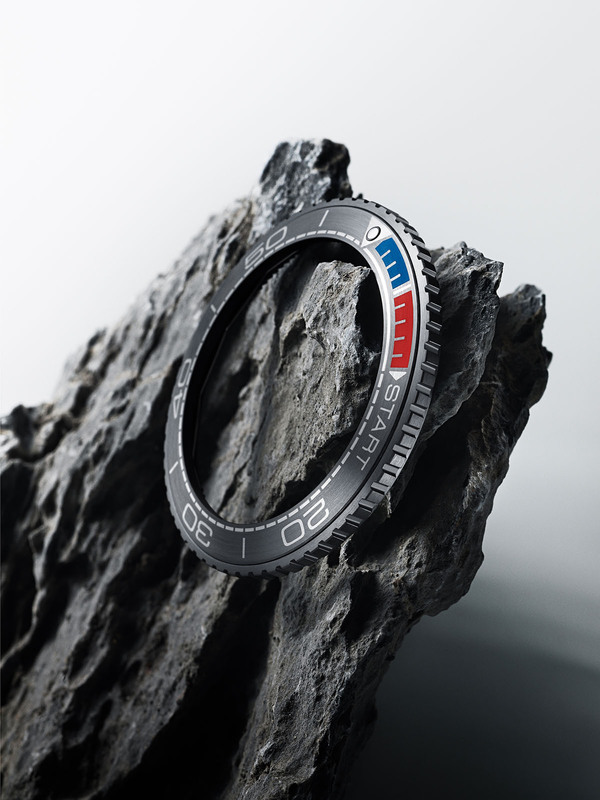 Further proof of this can be found on commemorative watches, such as Omega’s America’s Cup Seamaster Planet Ocean, which uses the red and blue of the New Zealand flag. Of course, bright colours are not always the best option when trying to make a bold statement. Often, it’s a striking contrast that catches the eye. Omega’s evenly divided black and white bezels are produced by dual injecting ceramic to create the desired night/day effect. Should a design call for a white that’s dazzlingly white, Omega employs enamel. A soft powder fired into a material so resilient, it won’t fade over time. Ceramic is a tough customer. By comparison, stainless steel is a breeze to work with. But as the accompanying photographs prove: all that hard work produces watches that are extremely easy on the eye.